Plot: Headstrong Earlene makes a discovery that she is totally unprepared for. Acting on impulses, she leaves everything behind and heads to LA. The perfect distraction comes along in the shape of the mysterious Bruno, a wandering intersex teenager she meets at Venice Beach. The two loners become fast friends, but when Earlene becomes embroiled in one of Bruno’s home rental scams, whilst simultaneously discovering just what lengths he will go to to score some cash, she takes the youth under her wing and drives off into the desert. Along the way they meet a sexually confused carjacker, a pair of Scottish ex-strippers, a tap-dancing drag queen and many more like-minded runaways – who are all looking for a way out in the world. 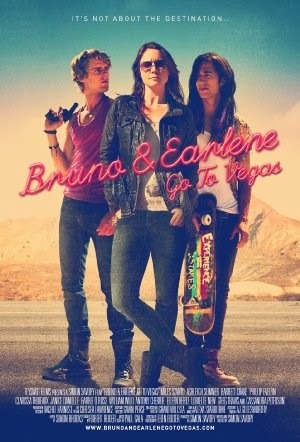 Bruno & Earlene Go To Vegas is an LGBTQI genre film with a difference. Bruno & Earlene Go To Vegas - Preview Footage from Simon Savory on Vimeo.